Chemtrails and Morgellons Disease - Chemtrails Spraying and Morgellons Disease - MORGELLONS DISEASE Chemtrail Information - Stop Chemtrail Spraying in California! Spraying Biological & Chemicals Agents on U. S. Citizens is Illegal! 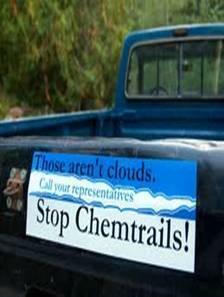 The only way to STOP CHEMTRAILS is to wake up others! Why are They Spraying Us? How often do you want to be notified? and debilitating condition that has emerged as a public health concern. Recently, the Centers for Disease Control and Prevention (CDC) has received an increased number of inquiries from the public, health care providers, public health officials, Congress, and the media regarding this condition." I am not offering any medical advice or diagnosis with the presentation of this information. I am acting solely as an independent researcher providing the results of extended observation and analysis of unusual biological conditions that are evident. 1. An encasing filament structure, generally on the order of 12 to 20 microns in thickness, and it is this form which is visible to the human eye. This encasing filament may contain an internal network of sub-micron filaments, or some combination of the following items on this list. 2. A chlamydia-like organism (Chlamydia pneumonia is the strongest candidate thus far) measuring on the order of 0.5 to 0.8 microns. 3. A pleomorphic form (Mycoplasma-like is the strongest candidate thus far). 4. An erythrocytic (red blood cell - likely artificial or modified) form. It is proposed that one reason that this set of organisms has defied definition is because IT NEVER HAS existed before, i.e., it is indeed a "new" organism. The question that arises is how do we go about classifying the overlying form given the underlying complexity and variation of the INTERNAL constituents? This paper will attempt to provide a rationale that is consistent with the available information and evidence. The term "Morgellons" arose out of necessity and convenience; it did not arise from a basic understanding of the dynamics and metabolism of the organism(s) involved. This is understandable for many reasons, not the least of which is that no such foundation of knowledge even existed at the time. This foundation remains far removed, undoubtedly in part because of the pattern of denial, refusal and misdiagnosis that has plaqued the "formal" involvements or investigations from the onset. Whether or not the failure to confront the reality of the condition has been deliberate or not, history shall judge for us regardless of our belated participation. The name "Morgellons" will probably stick with us now whether we like it or not, and whether is accurate or not. The term will almost always be shrouded in controversy and denial to a certain degree. This is the way of language and of human beings. Again, how much of this mire is deliberate or a result of confusion and ignorance is also uncertain, but at some point the truth speaks to us whether we are ready to listen or not. The point of this paper is to strive for a foundation that is, to the best of my knowledge on the subject, consistent and accurate with regard to that which is known. My research is not complete or representative of the whole, it is only that which I can offer under the circumstances. These circumstances are hampered by the lack of open, fair and honest discourse amongst the public, professional and governmental communities and by the lack of coordinated and properly funded research. It is nevertheless, the best overall picture that I can offer at this time. One of the more vexing challenges that faces the characterization of this condition is the diversity of form and structure within the set of components identified. Also, under certain circumstances, all four components have been identified as existing within a single integral unit, i.e, all bounded by the encasing filament structure. In addition, the filament form appears to represent the culmination of the developmental stages, at least within the culture trials examined thus far. 1. First, with regard to the encasing filament, the more obvious interpretation might be that we could be dealing with a fungal form. Unfortunately we run into numerous difficulties right away, such as no known match to any fungal form has been established thus far. A breakdown of the filament has been accomplished by subjecting it to extremes in chemistry and heat, and this is highly indicative of a protective casing to the internal components. One of the reasons that we cannot have a match to known fungal forms is because of what is happening INTERNAL to the encasing filament, which brings us to the second item on the list. a) No absolute and proper means of identification at the required level has come forth from any source. b) Certain characteristics of the organism DO NOT fit the Chlamydia genus, especially with regard to chemical and thermal stresses that have been placed on the organism during various testing procedures. 3. The pleomorphic (many forms) form is difficult by its vary nature, as indicated by the name itself. The mycoplasma candidate, at its origin, is too small to be seen with conventional microscopy. It is one of the smallest, if not the smallest bacterial form known and has the distinguishing feature of having no cell wall. It is this very lack of the cell wall that allows for the pleomorphic form to occur. Therefore it appears that we are dealing with only a subsequent morphology that develops and is visible, and it is at this level that this candidate identification has been made. Unfortunately, we also have the same chemical and heat stress issues with this structure as we do with the the chlamydia-like structure. Thus far, both of these "bacterial-like" forms have resisted all chemical and heat extremes that they have been subjected to. The fact that the bacterial-like forms exist WITHIN the encasing filament confronts us with an additional serious contradiction in conventional taxonomy. 4. And lastly, at least for now, we consider the erythrocytic (red blood cell) form. This identification truly stretches the limit of common understanding and conventional knowledge. Erythrocytes are from blood, and blood comes from animals. The appearance of this entity is completely incongruent with any fungal or bacterial interpretation that we might attempt to make. Even the appearance of an erythrocyte (artificial or not) outside of the host biology is a leap outside of conventional knowledge and public discourse. And so, we are forced to ask, how could this be? We must now talk about phylogeny, or the structural aspects of life as we know them to be (i.e., the Tree of Life). Science often evolves arduously and gradually, and many times this is for good cause and reason and to our benefit. At other times, the processes of review and acceptance are stubborn to the point that they deliberately hamper the progress and renaissance of understanding that is eventually to usher in. Certainly at times, and usually for that matter, there are power, economic and institutional frameworks in place that have a vested interest in maintaining the status quo. The emotional state of society must be prepared and "ready" to accept the knowledge base that has painstakingly developed over the decades that precede those special moments of insight that have been gifted to mankind. One of these transformational states appears to have occurred in 1978. In that year, Carl R. Woese provided a somewhat radical interpretation to our understanding of phylogeny1, There were obviously difficulties that existed with the earlier template that had been established, which was composed of six "kingdoms", for example, the plant kingdom, the animal kingdom, the fungal kingdom, etc.2. What Woese did was to seek the lowest common denominator within phylogenetic relationships, and it was the RNA (ribonucleic acid), or the underlying genetics, of the organism that became the key of understanding. As such, Woese essentially re-wrote the blueprint of the structure for life as we know it, and elevated (and reduced at the same time) the structural branches to three DOMAINS instead of six "kingdoms". It would appear (after this period of roughly 30 years) that the insight of Woese has been generally accepted and rightfully transformational in our understanding of the "structure" of life. This demonstrates to us that science is sometimes in need of radical change, and that we should not become too comfortable as to what we think is true or false. It is in our interest to understand the basic members and characteristics of each of these groups, as they represent a simpler, more comprehensive and a more accurate model for the understanding of life's "structural" features. I encourage each of us to make this effort, at least at the fundamental level. The three Domains vary in the cell type, cell wall, membrane lipid(fat) structure, protein synthesis, the transfer RNA molecules and in their sensitivity to antibiotics3. Even the terms prokaryote and eukaroyte(non-nuclei or nuclei) are no longer adequate and they fail to define the salient features identified by Woese. What has prompted this paper is the realization that the "Morgellons" condition crosses the lines between these three Domains. The difficulties with the "bacterial like" forms (chlamyida-like and mycoplasma-like) have already been enumerated. The testing processes thus far have subjected these two components to boiling, extremely strong alkalis (sodium hydroxide, bleaches) and extremely strong acids (e.g., hydrochloric acid). There is also good reason to think that the structures have been subjected, at a minimum, to extremes of cold (e.g., -50 to -60 deg. C). At this point none of these stresses imparted to the "structures" have damaged their viability for future growth or reproduction. Under the harshest of circumstances, it appears as though these structures are still held in biological stasis or dormancy until more favorable environmental conditions return. One of the dominant characteristics of the Archaea is their ability to withstand extreme environmental conditions and stress. It is representative to encounter these forms of life in volcanic vents and deep under the ice shelf; they are prime candidates in the explorations for extraterrestrial life. Many of the organisms from the Archaea group do not require oxygen and can thrive under anaerobic conditions that metabolize carbon dioxide rather than oxygen. Archaea are considered to likely be one of the oldest forms of life on earth. It is relevant to mention that the Archaea are not sensitive to antibiotics4, and it is of interest to note that the existence of Archean pathogenic forms has apparently not yet been established. By the same token there are some aspects of these two structures that are quite in accord with bacterial expectations, i.e., metabolism within a cell, size, pathogenic impact, symptomology, etc.. It is this variation that forces us to consider a crossover between two of the Domains even at this early level of discussion, i.e., the Bacteria and the Archaea. In addition, we must now consider the encasing filament structure. On the surface, this would appear to bring the Eukarya to the forefront, as the fungi are one element of this group. The Eukarya includes such examples as fungi, protozoa, slime molds, plants and animals. The difficulties, as mentioned before, are that no such fungal identification exists to date and that structures more representative of the OTHER Domains occur INTERNAL to the encasing filament. And lastly, the existence of an "erthyrocytic" form violates all boundaries from any of the considerations above. Blood cells emerge in the more complex phyla of life, such as humans, for example. Blood cells, by any conventional biology, do not grow in test tubes. Admittedly, the desire to create an artificial blood has been a holy grail of biological research for some time now5. The commercial world teeters on the edge of artificial blood production and we should not be surprised if clandestine operations have made significant advances in this field. But at this stage, regardless of the marvels involved, one does not expect Eukarya characteristics to share the same house with the Bacteria and Archaea Domains. The Eukarya are also6 stated to be insensitive to antibiotics. The fact that two of the three domains have this insensitivity points out the difficulties that might be expected in treating the condition with conventional antibiotics. As such, it appears that we are dealing with an "organism" that transcends the structural existence that has been defined for life itself. The Morgellons condition appears, by the best information and analysis to date, to be an orchestrated synthesis that crosses the lines of the three established Domains of life on this planet. It is very difficult to envision, at this state of knowledge, that this "organism" (for the sake of discussion) is the result of any "natural" or "evolutionary" process. This hypothesis, if accepted, forces us to consider the very real prospect of deliberate and willful indulgence in the arena of genetic engineering. This could certainly explain, at least in part, the deliberate and willful lack of disclosure and honesty on the issue to the public. We may also ask what was the motivation for the "ordained" misdiagnosis of 'delusional parasitosis' that was promoted so negligently and that has now failed so prominently? What is at the heart of the strong coincidence between biological and certain environmental samples? Disclosure and full honesty will reclaim their rightful positions in the end, regardless of the machinations of our own species. The more appropriate "term" for this condition may evolve in like order to that which has been described for science in general; I will not confuse the issue with additional nomenclature at this time. What has happened here is that the term "Morgellons" now encompasses a broader context than that which has been previously understood. I shall always correct my ways if a straightforward address of the issues reveals that everything after all is amazingly simple, and that we can get on with our ordinary business of taking yet another pill to alleviate the symptoms. The evidence and history thus far does not project such an innocent and gleeful outcome, and in the meantime we must prepare ourselves for the heinousness that has been unleashed, by whatever means, upon us. "As part of its budget for the next year , Darpa is investing $6 million into a project called BioDesign, with the goal of eliminating “the randomness of natural evolutionary advancement." "It is very difficult to envision, at this state of knowledge, that this "organism" (for the sake of discussion) is the result of any "natural" or "evolutionary" process." There are many that believe that the accomplishments from classified projects and budgets precede the disclosure of similar goal-oriented unclassified projects by a factor of many years to decades. My appreciation is extended to the individual that brought this disclosure to my attention. 1. Tortora, Gerard; Microbiology, An Introduction, 2001, Benjamin Cummings-Addison Wesley, 277-287. 2. Towle, Albert; Modern Biology, 1999 by Holt, Rinehart & Winston, 350. 7. Pentagon Looks to Breed Immortal ‘Synthetic Organisms,’ Molecular Kill-Switch Included , Wired, Feb 05, 2010. Is Morgellons Disease Caused By Chemtrail Spraying? The outbreak in south Texas which made big news recently has thus far provided no answers as to the source of the disease. There is a wall which exists in the science community, which is as difficult as climbing Mt. Everest for scientists thinking "outside the box." Scientists are inherently bound by peer review and the very culture that awards them their doctorates, to stay away from so-called "fringe sciences." This very mindset makes solving the source of this disease nearly impossible. There is also the ever present pharmaceutical market problem. Big pharma will ignore any "treatment market" that isn't worth hundreds of millions to billions of dollars. And of course, the word "cure" when uttered by a doctor is akin to blaspheming God. It is never uttered or even thought about, even behind closed doors. Instead, the word "treatment" is always used. CHEMTRAILS AS A POSSIBLE SOURCE? Since the only treatment that has been known to work is a very long term antibiotic therapy, this strongly suggests something foreign is present in the body. But what is it? Antibiotics are a catch-all therapy for many illnesses that defy explanation. These drugs have been used to treat early micoplasma infections, even though a micoplasma is considered as neither a bacteria or virus. All drugs can change the levels of the body's internal complex chemistry. With Morgellons disease, there are two important aspects that must be considered. First we must crawl before we can walk. The first problem is HOW people contract it and second, what the pathogen is. Discovering the infection vector will shed tremendous light on the actual pathogen.The second aspect is effective treatment. We must depart from conventional science to look at the cause of the disease. An open mind is required to consider what the disease vector may be. To start, a full comprehensive compliation of the background of each victim is required to build a database for study. Names are not required - only data. This includes geographic location, exposure to anything abnormal, such as abductions, chemical spills and being in the area of chemtrail fallout zones. According to current researchers  all 50 states have shown this disease, although it appears to be more prevalent in three southern states. In the above images, we can see that many of the fiber sizes are the same, since both samples are under the same magnification. Of course, we can't state conclusively these fibers are one and the same without a chemical analysis. Common characteristics of both types of fibers appear to be similar size and chaotic, uncontrolled growth. If these fibers are the result of highly advanced nanotechnology then we have found the disease, and possible who is behind it. But what would be the purpose of forcing this ailment on the population? Torture? To create a new pandemic in order to sell a new drug for a "treatment?" According to the Texas television news report, one young man who recently contracted the painful disease has committed suicide as a result of trying to deal with the pain. Black nodules, long and short fibers that can't be pulled out and great pain are all highly effective in destroying relationships between couples. Put another way, the suffering is so great that participating in sexual acts are the last thing that victims of the disease will think about doing. 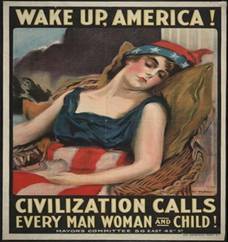 The symptoms clearly make population control one important side-effect that cannot be denied. Perhaps south Texas has been selected as an experimental hot-spot. However, the disease has also been found in every state. It is my hope that a researcher will consider this short essay as a starting point to consider looking for a CURE, and not a useless token treatment. We hope that this still unknown researcher will consider EVERY POSSIBLE VECTOR for this disease, including (but not limited to) nightime abduction experiments. Terrifying, painful, exhausting. When I have spoken with people who identify as having Morgellons disease, these are the words I hear. Most researchers and medical professionals consider Morgellons Disease (MD) to be synonymous with Delusory Parasitosis (DP), a false, unshakable belief that insects are living in or on your skin or inside your body. Yet, several small, concerted groups work to express it as a distinct medical condition. 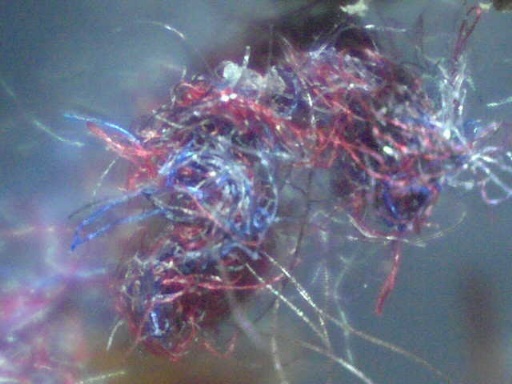 Red and blue fibers, described as "Morgellons fibers". MD was first described in academic literature in 2005, when an unidentified number of patients described itching, crawlingsensations, lesions, and the eruption of red and blue fibers and “granules” from their skin. Most had Lyme disease, and MD was thought to be significantly related to that (Savely & Leitao, 2005). Recently, agrobacterium was indicted as the new culprit, when two self-identified MD patients with scleroderma were found to have increased amounts of cellulose-protein complex in their connective tissue (Savely & Stricker, 2007, Harvey et al, 2009). A multi-systemic medical framework for MD with immunodeficiency problems has been described (Harvey et al, 2009). Lesions, attributed to Morgellons Disease. .The majority of physicians and researchers consider MD to be synonymous with DP (Murase, Woo & Koo, 2006), with the difference that it is not believed to be parasites, but about the fibers and granules (Robles et al, 2008). In response, proponents of MD as amedical condition herald it as different from DP, citing a “lack of pre-existing psychopathology” (Savely & Stricker, 2007). Yet, a study by Harvey et al (2009) found 25 self-diagnosed MD participants all had previous diagnoses of DP, and 23 had other previous diagnoses, including bipolar disorder, attention-deficit disorder, and obsessive-compulsive disorder, the symptoms of which coincided with the onset of their MD symptoms. These psychological diagnoses have many somatic connections, and their medications commonly have side effects of itching, crawling, and tingling sensations (Hinkle, 2000), indicating that a psychological composition of MD is very likely. Some will disagree with a psychological conceptualization of MD, and firmly believe that this is a distinct medical condition. In fact, a DP diagnosis is not always accurate, such as with cutaneous myiasis, where fly larvae inhabits the skin of a person (Barros et al, 2010). Medical and scientific knowledge, and identification of new pathogens, diseases, and treatments, continually occur. The burden of proof is on the advocates for MD to be a distinct medical condition. In my opinion, mental health should be recognized as the possible, if not probable foundation of MD. Fibers and granules of dirt and debris are everywhere. Increased cellulose-protein complex in two patients who also have scleroderma is still distant from being definitive. Harvey’s study found many vague health anomalies, yet the autoimmune problems sound like what one would expect from intense stress (Khansari et al, 1990). What would be more stressful than the real or perceived experience of an infestation of the most personal and offensive kind, the body? Dr. Harvey recommends that we be open and skeptical, and I agree. The CDC is in the data-analysis stage of an investigation of MD through Kaiser in Northern California. As a scientist and as a person who is aware of the suffering of people with these experiences, I look forward to the results. Sarah Bione-Dunn is a doctoral candidate in clinical psychology at Alliant International University. She expects her degree in June, 2010. Is Mysterious Illness Advanced Nano Materials Syndrome? Morgellons Disease has been reported in every state in the USA. As results from a CDC study are pending, the debate and controversy about Morgellons Syndrome continues. Patients have additionally complained of fatigue, confusion, memory loss, vision changes and unexplainable joint and muscle pain. Yet despite the symptoms and recorded testimony of thousands of people, many dermatologists do not believe the condition exists, at least outside of the mind of the sufferer. For three months in 2006, every major television news network reported on a mysterious new skin condition called Morgellons Disease. For the next two years, news about the disease would periodically crop up in newspapers, scientific literature and on television segments. It created a storm of controversy and debate. Increasing numbers of people began to report the odd symptoms of Morgellons to the Centers for Disease Control and Prevention (CDC), prompting the government entity to take action. In August 2006, a CDC task force was formed comprised of a variety of health specialists including pathologists and parasitic experts. The task force would decide how best to initiate and implement a plan of action. The eventual 2008 study, revolved around skin biopsies and fiber threads removed from alleged Morgellons sufferers for analysis. The CDC's epidemiologic investigation, which was supported by Kaiser Permanente’s Northern California Division of Research, was completed in September 2009. Morgellons Disease was named by Mary Leitao, a biologist and former lab technician who believes that her son suffers with the syndrome. Leitao named the disease after the discovery of an earlier but similar disease, first observed in the 1600s and also called Morgellons. Years of taking her son to doctor after doctor without answers, prompted Leitao to consult a top infectious disease specialist at Johns Hopkins University. The CDC describes the syndrome simply as an "unexplained dermopathy," while some dermatologists such as Jeffrey Meffert, a dermatologist and associate clinical professor at the University of Texas believe its origins rest in psychosis. According to Jenny Hontz's "Medical Mystery," which appeared in Newsweek's Feb. 7, 2008 edition, Meffer believes the condition to be an existing one such as delusional parasitosis, prurigo nodularis or simply environmental objects that get stuck to wounds or sores. The MRF website describes the disease as a, "poorly understood condition which a growing number of physicians believe to be a chronic infectious disease," possibly parasitic in nature. It reports several studies undertaken by various entities in support of the theory of Morgellons. One such report details a study by Oklahoma State University's Randy S. Wymore, Associate Professor of Pharmacology and Physiology and Director of the OSU-CHS Center for the Investigation of Morgellons Disease. Wymore's report states that laboratory tests were unable to determine what the fibers found in suspected cases of Morgellons, actually consisted of. The study also ruled out delusional parasitosis and other neurotic illnesses as possible explanations or causes of the syndrome. In September 2009, the CDC external review panel consisting of experts in dermatology, infectious disease, public health and mental health was formed to provide recommendations and guidance for analyzing study results. In November of 2009, the CDC’s CCID Board of Scientific Counselors was provided with an update on the progress of the panel’s review. Copyright Elizabeth Batt . Contact the author to obtain permission for republication. Housecall, our weekly general-interest e-newsletter, keeps you up to date on a wide variety of health topics with timely, reliable, practical information, recipes, blogs, questions and answers with Mayo Clinic experts and more. Our biweekly topic-specific e-newsletters also include blogs, questions and answers with Mayo Clinic experts, and other useful information that will help you manage your health. Morgellons disease is mysterious and controversial. Here you'll find answers to common questions about Morgellons disease — and suggestions for coping with it. Morgellons disease is a mysterious skin disorder characterized by disfiguring sores and crawling sensations on and under the skin. Although Morgellons disease isn't widely recognized as a medical diagnosis, experts from the Centers for Disease Control and Prevention (CDC) are investigating reports of the condition, which they refer to as unexplained dermopathy. If you suspect that you have Morgellons disease, you may have many questions about the condition. Here's what you need to know about Morgellons disease, including practical tips for managing your signs and symptoms. What are the signs and symptoms of Morgellons disease? Morgellons disease shares characteristics with various recognized conditions, including Lyme disease, liver or kidney disease, schizophrenia, drug or alcohol abuse, and a mental illness involving false beliefs about infestation by parasites (delusional parasitosis). How widespread is Morgellons disease? Reports of Morgellons disease have been made in every state in the United States and 15 countries around the world. Most reported cases are clustered in California, Texas and Florida. What do researchers know about Morgellons disease? Beyond anecdotal reports, researchers know little about Morgellons disease. 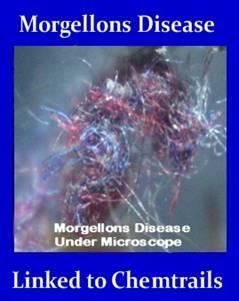 The CDC reports no known causes of Morgellons disease and no successful treatment for the condition. Whether Morgellons disease is contagious remains a mystery. How controversial is Morgellons disease? § Some health professionals believe that Morgellons disease is a specific condition that needs to be confirmed by future research. § Some health professionals believe that signs and symptoms of Morgellons disease are caused by another condition, often mental illness. § Other health professionals don't acknowledge Morgellons disease or are reserving judgment until more is known about the condition. Some people who suspect Morgellons disease claim they've been ignored, criticized as delusional or dismissed as fakers. In contrast, some doctors say that people who report signs and symptoms of Morgellons disease typically resist other explanations for their condition. How can you cope with the signs and symptoms of Morgellons disease? The signs and symptoms linked to Morgellons disease can be distressing. Even though health professionals disagree about the nature of the condition, you deserve compassionate treatment. While research continues, take positive steps to manage your signs and symptoms. § Establish a caring health care team. Find a doctor who acknowledges your concerns and does a thorough examination. Since Morgellons disease often requires frequent follow-up visits, a local health care team may be most convenient. § Be patient. Your doctor will likely look for known conditions that point to evidence-based treatments before considering a diagnosis of Morgellons disease. § Keep an open mind. Consider various causes for your signs and symptoms, and follow your doctor's recommendations for treatment — which may include long-term mental health therapy. § Seek treatment for other conditions. Get treatment for anxiety, depression or any other condition that affects your thinking, moods or behavior. § Keep track of the latest news about Morgellons disease.Supplement the information you find online with articles published in peer-reviewed medical journals. Remember that some sources are more reputable than are others. To learn more about Morgellons disease or to report suspected cases of Morgellons disease, call the CDC Morgellons information and voice mail line at 404-718-1199. © 1998-2010 Mayo Foundation for Medical Education and Research (MFMER). All rights reserved. A single copy of these materials may be reprinted for noncommercial personal use only. "Mayo," "Mayo Clinic," "MayoClinic.com," "EmbodyHealth," "Enhance your life," and the triple-shield Mayo Clinic logo are trademarks of Mayo Foundation for Medical Education and Research. If you've been growing blue and red wires out of sores on your skin like hundreds of Morgellons disease sufferers have (pictured), then you may actually have a nano-fiber chemtrail infection. Or so says the "chemtrail activist" community, a group of amateur scientists who study the "fibers" that they claim are raining down out of chemtrails in the sky. For those unfamiliar with conspiracy-speak, chemtrails are clouds of chemical substances created by hush-hush government experiments that I'm sure we'll hear more about when Fringe hits the airwaves this fall. So how is this all related to Morgellons? Chemtrail activists collect evidence that the chemtrail spray contains not only germs but conductive metals, blood cells, carbon powders, sedatives, nano-particulates, crystalline substances, alumina particulates, barium powders, and a kind of polyethylene-silicon fiber . . . 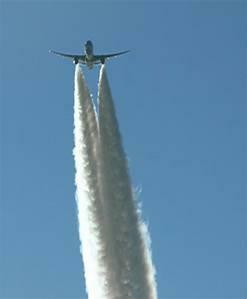 The chemtrail fibers are a kind of infant, “pre-Morgellons” fiber. The Morgellons fibers are more developed, but the fibers are related to the type of nanotechnology that assembles nanowires. So you're breathing in fibers from secret experiments, and then those fibers are self-assembling in your body and growing out of your skin. Also, Palit, reminds us, scientists have said that nano-fibers can enter your bloodstream and go INTO YOUR BRAIN. I think you know what that means. Demand an immediate cease to all chemtrail spraying until we know the short and long term effects of chemtrails on the general population. Introduce legislation to create “No-Chemtrail Spraying Zones” in California. 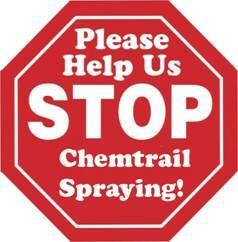 Give immunity and protection to anyone willing to blow the whistle on chemtrail operations. Boycott products made by any companies who make or produce chemtrail related products. 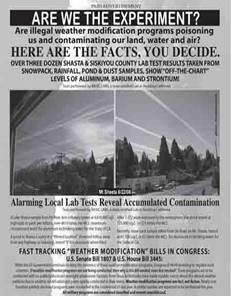 Identify who is responsible for allowing us to be sprayed on the city/county/state/global level. Demand that each city/county/state be given a 72 hour warning before spraying so people can choose to protect themselves. Demand an explanation for chemtrail spraying on the city/county/state/congress/senate levels and do not accept the denial that spraying is going on. Prosecute anyone who continues to aid these illegal chemtrail operations and hold those companies responsible that produce toxic chemicals, toxic metals, biological toxins, and any other submicron particles that cause chemtrail related diseases that effect the general population. Investigations and inquiries on the state level and above are being ignored and chemtrail spraying is being denied at the highest levels of our government. 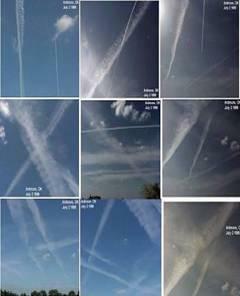 The only way to halt chemtrail toxic spraying on us is for the general population to wake up and demand that it stop. When a free people no longer have a say in the air that they breathe, they are no longer free. Think about it, someone or some group of persons, non-elected, now have the power over the air we that we breathe in on a daily basis. They are now deciding what to put in the air and therefore are affecting our overall health and wellness. This means that we are potentially “one spray” away from a potential disaster that could kill/contaminate everyone in the U. S. and all NATO countries. What will happen if an enemy country gains control over these toxic sprays? If you see a chemtrail above your head you are now at risk. 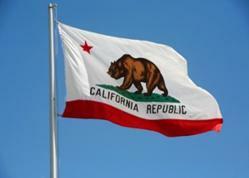 LET'S MAKE CALIFORNIA A CHEMTRAIL FREE ZONE! Fair Use Notice: This site contains copyrighted material the use of which has not always been specifically authorized by the copyright owner. We are making such material available in an effort to advance understanding of environmental, political, human rights, economic, democracy, scientific, and social justice issues, etc. We believe this constitutes a 'fair use' of any such copyrighted material as provided for in section 107 of the US Copyright Law. In accordance with Title 17 U.S.C. Section 107, the material on this site is distributed without profit to those who have expressed a prior interest in receiving the included information for research and educational purposes. For more information go to: www.law.cornell.edu/uscode/17/107.shtml If you wish to use copyrighted material from this site for purposes of your own that go beyond 'fair use', you must obtain permission from the copyright owner. The views expressed herein are the writers' own and not necessarily those of this site or its associates. 10:41 Real Death From Above: The Morgellons Epidemic Higher number of people reporting Morgellons cases in California (Los Angeles – Highest reported city) Texas & Florida). This video represents 3 weeks growth in nutrient agar of the debris in a human lesion. This is after the subject has taken antibiotics. 5:48 + CNN CHEMTRAIL MORGELLONS 4 PATHOGEONS IN CHEMTR. 8:26 + CHEMTRAILS CLIFFORD CARNICOM 2010 VERY IMPORTA. 5:14 + Morgellons - Part 1 - Nightline - CDC – Chemtrails. 5:22 + MUST SEE ! What is it? A video of this thing moving in my head hair. It is the cause of Morgellons disease and ccd in honey bees it is a gm bt cotton fibre created by Monsanto. 1 of 7 What in the world are they spraying ? Video released October 22, 2010. Researchers discovered 6 different agendas or motives for these operations, some of which may overlap: environment or climate changes, biological, military purposes, electromagnetic, geophysical or global effects, and exotic propulsion systems. 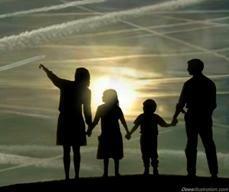 Celia and Bill Abram, retired public school teachers, have been watching chemtrails since late 1998. Former meteorological observer with the Canadian Dept. 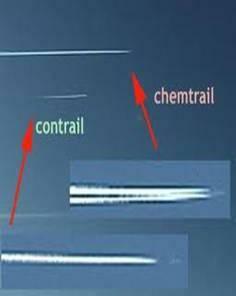 of Transportation talks about dangers of Chemtrails. Unsuspecting population in the East of England was sprayed covertly with Cadmium and other poisonous compounds at least 76 times. 9:55 1-5 Ex-Government Employee talks about chemtrails. 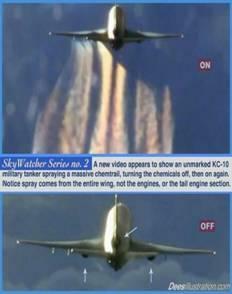 Ex - Government Employee reveals shocking details behind aerosol spraying program. CLIFFORD CARNICOM AND DAVE PETERSON-CHEMTRAILS PART 1 Clifford Carnicom interview on chemtrails. 0:54 THIS IS WHAT A CHEMTRAIL LOOKS LIKE!